I finished a soft and striped baby quilt for Amelia so when she comes to visit Grandma and Grandpa, she’ll have a special blanket waiting for her. This is a very quick and easy project to make! I’m happy to share the instructions and some tips with you. I used a combination of flannel and minky on the front and the same minky on the back. I recommend prewashing all of the fabric because of the mix of materials being used (flannels shrink more) and because it’s a baby quilt. I did not use any batting between the layers. I wanted it to be soft and light with a nice drape (which I achieved). It’s more like a blanket than a quilt. The finished quilt size is 38″ x 47″. All seam allowances are 1/2″ wide. The diagram below shows the dimensions and placement of the strips. The white strips represent the main floral fabric. Stitch the strips together according to the diagram (1/2″ seam allowance). TIPS: When working with plush fabrics such as minky (Cuddle), it’s wise to use a 1/2″ seam allowance and a walking foot when sewing the seams. Minky can stretch and it has a high nap which means that it can shift a bit during stitching. Use plenty of pins to hold the fabrics together and a slightly longer stitch length such as 3.0. It’s best to sew with the minky on the bottom which will help stabilize your layers. Carefully press the seams open. Minky is made out of polyester and it can melt with high temperatures. I use a “wool” setting on my iron, and I try to keep the iron on the flannel side of the seam. Trim the side edges of your quilt top so they are even and straight. I trimmed mine so that the width was about 38″. Layer the backing and quilt top and baste. Spray basting works really well for this step (see my tutorial here). I quilted my project with straight lines 1/4″ on each side of all seams. Make sure your stitch length is still at 3.0 or longer and that you’re still using a walking foot. Trim the excess backing fabric and finish the quilt with binding. I wanted my binding to be completely done by machine. With that in mind, I began by stitching the binding to the back of the quilt and wrapped it to the front. Then I edge-stitched next to the fold on the front side. Easy peasy! Don’t you love striped binding? It makes the quilt look good from the front or the back! It’s great to finish a quilt in one day (maybe two). I think baby Amelia is going to like cuddling up with this one. Hopefully, I’ll have pictures to show you soon of this quilt in action! Adorable quilt/blanket. Thanks for the tutorial and awesome pictures. This is my next project. I purchased some minky fabric months ago, but am afraid to sew with it. I will use the walking foot as you recommended. Thank you for sharing! How wide did you cut your binding strips? Did you use a 1/2 inch allowance when you attached it. Loved your quilt, tutorial was perfect timing I needed something for a friend’s new grandson so made it with some fun baby boy themed flannel, brown minky. I cut my binding wider & brought to front for the mitred wide look and it worked perfect. Thank you so much for your wonderful site & great ideas! She will love to snuggle in her special blankie. I think Baby Amelia is going to want to just stay wrapped up in this beauty forever! Such a sweet baby quilt. Amelia will love it! Thanks for the tips about sewing and using minky. I feel confident now that I could sew with it too! You are on a roll, Grandma! Love this easy, cozy quilt. 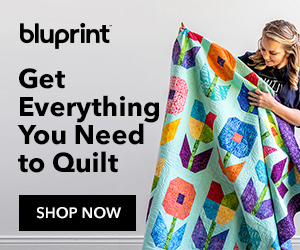 I have a feeling you are going to be doing some out of this world applique-type project in the near future – you won’t be able to resist all those adorable patterns out there for little girl quilts! I know it happened to me! Said I would never do applique – too time consuming, too hard, etc. etc. – all it takes is one project and you get hooked! I’m looking forward seeing to many more Amelia quilts! cute and fun quilt: I have to remember it for a baby quilt! I always try and think of something and then it turns out too complicated! This would make a perfect gift. Thanks!! I made minky scarves last year and i do know how it shifts! Your blanket is so cute and cuddly looking..i’m going to have to save this pattern under a new folder for baby blankets-for FUTURE reference :). Thanks! I have some minky in my stash I need to make something with. This is a great idea! Beautiful, need to make one for each of my grandchildren, two twin boys and 4 year girl. The quilt looks so comfy. Beautiful quilt! Love the colors and inclusion of cuddly fabrics. As always, your directions are clear and complete. Have not tried minky yet,,think I will search some out for a winter play mat,for our youngest grand, Siena, who is now 4 months old. What an adorable quilt! I am positive that Amelia will love it. Not only is it snuggly, but the bright colors will catch her attention. Good job, grandma! 8-)(Can you imagine hearing that little doll calling you “grandma?” I remember after my oldest was born (I was sooo mature at 18….snort), thinking about how it would be the first time he called me “mama”. How would I feel? I remember it felt WONDERFUL!!! Looks easy enough to make in a day. And I love it with the bright prints! What a lovely blanket, thank you for showing it to use…New baby will sure to love it…. That is the sweetest quilt. I think I’d like one myself!